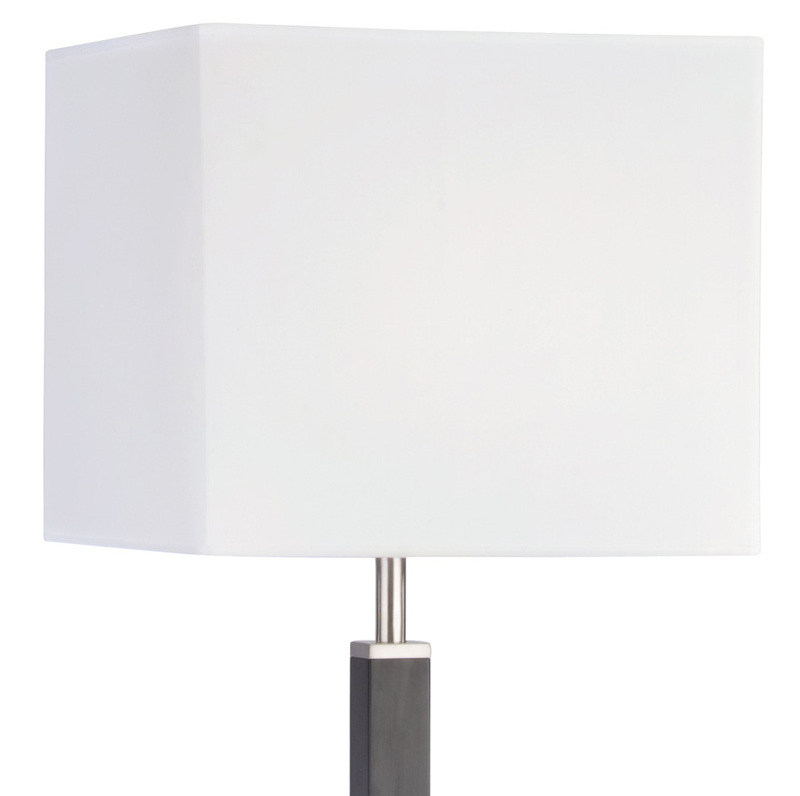 Modern square shade floor lamp standard, with a dark finish wooden base and stem holding a square fabric shade. 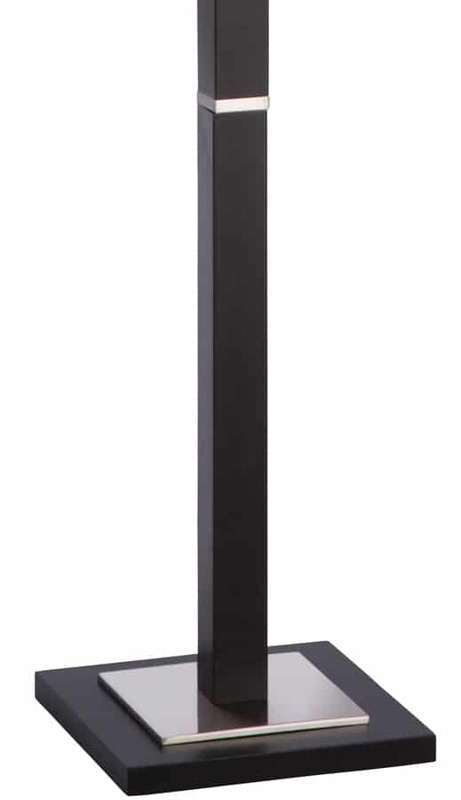 The base and stem are inlaid with satin silver finish metal detail. 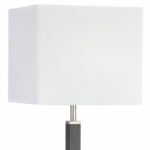 Shade dimensions; 350mm wide x 300mm high.